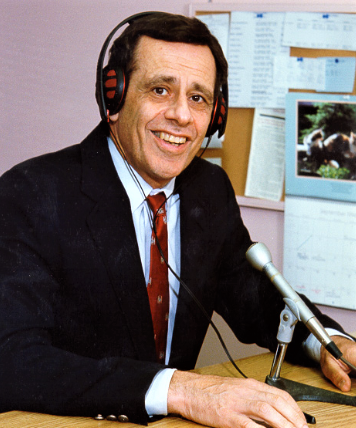 Sports medicine doctor, fitness guru and long-time radio host Gabe Mirkin, M.D., has been practicing and espousing exercise-as-medicine for 70 years. 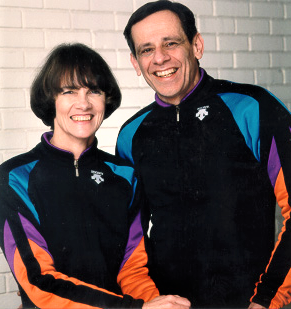 A runner for many years and now an avid cyclist, Mirkin, 83, continues to produce a free and up-to-date website and e-newsletter with the latest info on fitness, nutrition, and health. You can subscribe here. Career-profession? A practicing physician for more than 50 years and a radio talk show host for 25 years, Dr. Mirkin is a graduate of Harvard University and Baylor University College of Medicine. Dr. Mirkin hosted a popular call-in radio show on fitness and health that was syndicated in more than 120 cities. He has written 16 books including The Sportsmedicine Book, the best-selling book on the subject that has been translated into many languages. His latest book is The Healthy Heart Miracle, published by HarperCollins. that I was in shape from regularly walking 7 miles from my home in Roxbury to Boston Latin School to save the cost of five cents for a transportation token. However, I never could train because I had to work during all my school years and worked 100 hours a week, selling ice cream, each summer. At age 28 and after finishing my residency at the Mass General, I went on to Johns Hopkins and started to run and train regularly for the first time. How much did you run in your peak years? In my 30s, I tried to work out three times a day and to run around 100 miles per week. However because of my stupidity, I spent more time injured than I did running. I did not understand recovery. So my mileage would vary from several weeks of being injured and not running at all, and then working up to occasional weeks of 100 miles, always followed by another injury. What's your estimate of total lifetime running miles? I practiced mainly running from 1963 to 1993 for a total of about 39,000 miles (25 miles/week average). After 1993, I have switched to cycling, due to frequent injuries, and have logged roughly 182,000 miles. Since 4 miles of cycling equals 1 mile of running, that's another 45,000 miles. So you could say I've run the equivalent of 84,000 miles. Now that I'm retired in Florida, I can ride 365 days a year. I have had no overuse injuries in the last 10 years, and I ride fairly fast almost every day. Top race performances? In my thirties, I ran 2:51 in the Boston Marathon and Washington Birthday Marathons despite working 100 hours a week seeing patients, writing articles, and appearing in the media. How much running, cross-training, stretching, etc, do you do? I ride 30 plus miles with a fast group three days a week and do repeat 50-pedal-stroke intervals followed by extensive cool downs of around 6 miles each time on the other four days. Three days a week, I go to the gym and do sets of 50 to 100 reps with light weights on the machines and try to dance about three nights a week. I am amazed that I have had no overuse injuries since I have been retired in the last 10 years. I attribute my lack of injuries to eating very large meals immediately after I finish each bike workout and then soon afterwards going to sleep for two to three hours. You have only an hour window after exercising not to need insulin to drive sugar into muscles for eating to achieve a faster recovery. Your muscles also recover faster when are asleep than when you are awake. How do you maintain motivation while aging and slowing down? It is inevitable that you lose strength with aging. However I recover faster from intense workouts than I have ever recovered before. The medical literature shows that you prevent disease and prolong your life with intense exercise. We are fortunate to live in a retirement community with 125,000 other people without jobs. 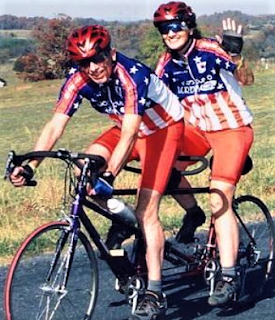 Therefore we have a close relationship with more than 30 other couples who also ride tandem bikes seven days a week. We do all our other non-riding activities with them. Diet, weight, supplements? I take no pills whatever and plan never to take them. I fast every night from 6:00 PM to the next morning. I weigh myself daily and whenever my weight exceeds 139, I eat no meals on that day and just snack on nuts, fruits and vegetables. When I ran marathons, I weighed 155 and ballooned up to 165 when I was riding a bicycle. Then my blood sugars started to rise, so I began a regimen of being an almost vegan who eats a little cheese and fish on occasion. I do not eat evenings and my weight has dropped to 136 to 138. I am 5'10". Injuries or health issues? I cured my diabetes by losing weight from 165 to 138. What 3 tips would you offer young/mid-life runners who hope to continue for life? *If your legs still feel stiff and tight after a 10-minute warm up, do not take an intense workout on that day, regardless of what you have planned. *The best endurance athletes do 85% of their mileage as slower recovery runs. However the best runners do incredibly intense workouts two days a week. Most are now doing a hard interval workout followed six hours later by another intense interval workout, followed by two or three days of recovery mileage. *If possible, after every intense workout, eat a very large amount of food and go to sleep. You will not be able to train at your maximum until you can do this. How does running & fitness help you on a daily/weekly basis? It helps me to sleep better. My mind functions at a high level only after I just wake up. So I do all my writing and thinking immediately after I wake up and I take naps once or twice during the day. *Restricting mammal and processed meats, sugar-added foods, all drinks with sugar in them including fruit juices, and fried foods. It is my opinion that you should also restrict chicken, turkey and other birds. *Eat unlimited amounts of fruits, vegetables, whole grains, beans, seeds and nuts. *Avoiding overweight, particularly extra fat in your belly. *Exercising every day. The more intensely you exercise, the greater the health benefits. What are the biggest lessons (life lessons and running lessons) you have learned from running? *You will be happiest by associating with people who have interests in common with you. That is why runners are happiest going to the theater, out to eat, and doing other non-running events with other runners who share the same interests. *The best marriages are based on common interests. If both you and your wife or husband run together, you have the makings of a solid and interesting marriage. *The scientific literature overwhelmingly shows that intense exercise helps to prevent heart attacks, diabetes, certain cancers and other diseases and also helps to prolong lives. The key to exercising intensely AND safely is to never begin an intense workout when your legs are still stiff and heavy from your previous workout, and to always warm up for 10 minutes.